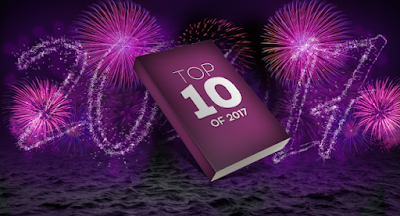 Top 10 of 2017 is "a fun-filled week where we look back at some of the best of all things books of 2017 and look ahead to what we can’t wait for in 2018." 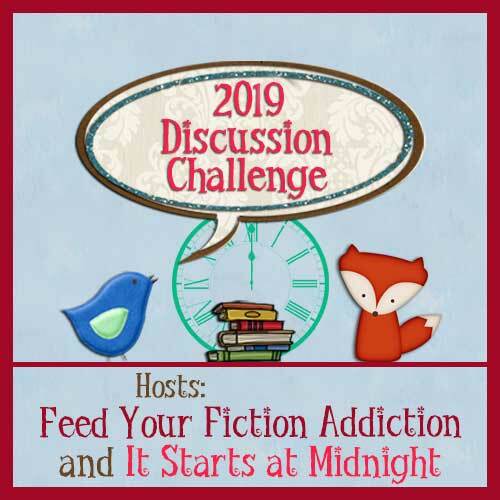 It's hosted by Rachel at Fiktshun, Jaime of Two Chicks on Books, Nancy and Christy of Tales of the Ravenous Reader, Bridget of Dark Faerie Tales, and new this year, Fallon of Seeing Double in Neverland and Take Me Away To A Great Read. Our Most Anticipated Adult Books of 2018. Most of these won't be a surprise unless you've not been following us long. Almost every book on this list is by one of our auto-buy authors and we regret nothing! There's a ton of great stuff coming out this next year but we'll also be saying goodbye to a few of our favorite series which makes us a bit sad. Each book's title is the link to its Goodreads page if you want to add it to your TBR. Here are some other 2018 books we'd like to put on the list but they don't have covers and/or exact release dates yet. You can still add them on Goodreads though. What are your Most Anticipated 2018 YAs? Want to see what books are everyone else's list? Visit one of the host blogs to find the Linky. Or follow #toptenof2017 on Instagram. 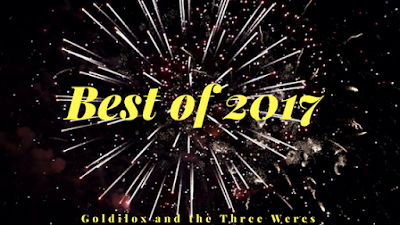 Miss one of our Best of 2017 posts? Did you see our Super Giveaway? Check out last Wednesday's post. Our Most Anticipated YA Books of 2018. Each book's title is the link to the Goodreads page if you want to add it to your TBR. What YA books are you looking forward to in 2018? 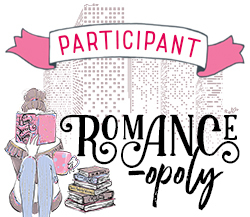 Want to see what books are everyone's book boyfriend and girlfriend lists? Visit one of the host blogs to find the Linky. Our Favorite Adult Books of 2017. There aren't a lot of surprises on our list this year. 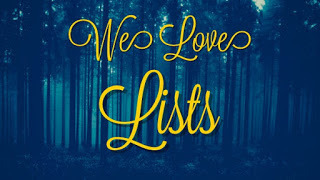 While we love our auto-buy authors, we wish that we had found more new/new-to-us authors and books than we did. White Hot was everything we hoped for in this book: fun family banter, amazing chemistry between Nevada and Rogan, complicated enemies, and lots of action. We couldn't put it down once we picked it up and we have two words for you: spy ferrets. You can read Rose Red's review here. Wildfire starts off a few hours after the conclusion of White Hot and it was a ride from that point on. It was amazing! 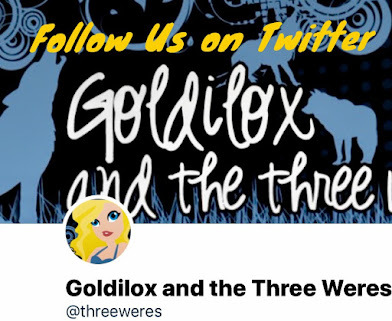 While the book wraps most things up, the authors have mentioned that they plan to write at least one more book with Nevada and Rogan and maybe more in the universe. And that is very much how the novel reads. We really need their publisher to buy that book from them because we need it in our lives! Silver Silence was bloody brilliant and I couldn't put it down once I had started it. I found this book overwhelmingly charming but I don't know what I loved more about it: learning more about Silver and the Mercants, the awesome bear Changelings, or the romance. I loved the books we spent with the leopard and wolf packs but I absolutely loved the bears! I can't wait to see what Singh does next in this world. We finally have Venom's book and we are completely here for it! Out of all of Raphael's Seven, he's been the biggest enigma for a while. We absolutely loved this romance! Holly and Venom are so good once they got together and we loved learning more about them! We can't wait to see more of them in future books! I'm just in love with this series! The Demon Prince has a slightly different feel than book one for me since it focuses more on the world's medicine and technology and it definitely was a whole lot kinkier. The world reminds me a little bit of Anne Bishop's The Others series, but it's a romance so all of you who wished Simon and Meg would just do it definitely want to check this out. You can read Gretl's review here. Driving Rain is a very bingeable read-in-one-day kind of book. It's also the kind that will rip your heart out and hand it back to you one piece at a time. I loved it! Tallulah has to solve a murder mystery during a Cleric convention or she'll face the wrath of an angry goddess as well as a killer. It was such a fun book! It's even better than the first one and I can't wait for more. A Conjuring of Light was the series ender that I wanted it to be! It was full of action, heartache, and oddly enough, quite a few laughs. It's one of those books that will devastate you while managing to keep your hope that everything will turn out okay and it was hands down my favorite fantasy book of the year. Silence Fallen is a different Mercy book than what I've come to expect from this series. It's different in a good way and is reminiscent of the time when Mercy was an army of one. I wasn't a big fan of having Adam and Mercy separated again but it worked. We did get multiple chapters from Adam's POV and that was great! His love for Mercy is absolutely adorable. What I really loved is getting to see more of this world through different eyes than Charles and Anna's. It was a great addition to a wonderful series and I can't wait to see what happens next. This series was recommended to me by a friend who told me it was "kind of like Sherlock Holmes meets The Mummy (with Brendan Fraser) if Sherlock was an introverted museum philologist with an ex-Pinkerton Watson who fall in love with each other and encounter secret societies and eldritch-type horrors". I was immediately sold and I loved it so much! The romance was adorable and I could gush about the secondary characters all day. It's one of my new favorite series. You can read Rose Red's RTFB post here. I've been a huge fan of Gail Carriger's steampunk books for years now. So when I heard she was writing a m/m paranormal romance book, I knew I had to get my hands on it. The story surprised me on many levels. 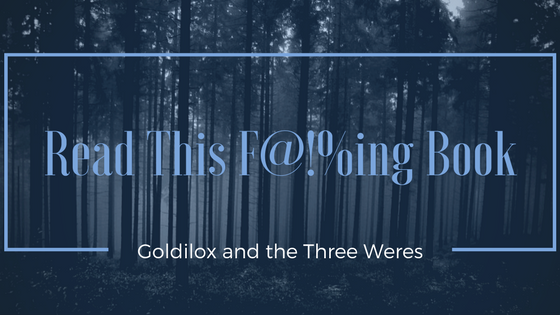 It was the witty, lighthearted, supernatural, romantic romp in a more modern setting that's pure Gail Carriger and it was everything I wanted it to be. I had high expectations for it and they were blown out of the water with how good it was! I have loved each book so far in this series I've read this year but this book is hands down my favorite! There is something special about this series and its mashup of the paranormal and fairy tales. The White Lily was the Snow White retelling I never knew I wanted! I loved how elements from the original tale were included in this story and I adored the romance between Brennalyn and Friedrich. I've loved this series and can't wait to get my hands on the last book. The Secret Casebook of Simon Feximal is really a collection of short stories chronicling how Simon and Robert's first meeting and different key cases that they worked on together. I loved this strange little collection of vignettes so much! I can't really go into detail about why I loved the ones I did because they are short stories and any talk of specifics would be spoilery. The romance is cute and a lot sweeter than I thought it would be when we're first introduced to one Simon Feximal. Robert is kind of naive and adorable which works to offset Simon's temperament. I can't recommend it enough! I loved this little story so much! It is weird and magical and adorable. It's kind of what I've always imagined a romance novel that was written by Maggie Stiefvater would be like but also not. It's sweet, quirky, and a bit strange in parts and I fell in love with Roan Parrish's writing style from the first. It's a perfect read for the holiday season! What were your favorite adult books of 2017? Rose Red's Top 10 Manga Series. 2017 is the year I really got back into reading manga and it has been glorious! Two-thirds of the books I've read this year has been manga which is a lot. Like 150 a lot. Let's just say that I've binged a lot of great series! It was hard to narrow things down, but here's my top ten manga series I've read this year. This is going to be the first of many series that the anime lead to me picking up the manga. My Hero Academia is my favorite anime and manga series of this year. It's the perfect blend of Western superheroes and Eastern culture. And the characters and villains are fantastic! I can't recommend this one enough! I had never realized that reverse-harem was an actual genre until I watched Yona of the Dawn and I loved it! Yona is a princess on the run after her father is murdered. This series is all about her adventures in learning how to fight and gathering the descendants of the legendary Four Dragons to regain her throne. It's full of action, laughs, and a swoon-worthy slow burn romance! And the anime is freaking fantastic! Horimiya is the contemporary manga love story that I never knew I needed! It's basically the whole "girl meets guy and falls in love with him but someone else is in love with her" trope which sounds over done but it's actually a quite delightful story! Also, the art in this manga is beautiful and practically flawless! I haven't watched the anime yet but I hear it's as delightful and the manga! UraBoku is actually a series I had started a few years ago but never had the time to continue. Plus, there was a four year delay between the newest volume and the last one. UraBoku is an interesting manga that has a starcrossed couple where the female love interest has been reincarnated as a man who has no recollection of his past lives. There's also an elite fighting force who has also been reincarnated and for the most part the characters are delightful. The manga is slow moving so some find it boring but I love it! This is another manga I picked up because I loved the anime, Snow White with the Red Hair. I binged all seventeen available volumes in less than week because I was so into it. Shirayuki is a young herbalist who gets into trouble when her rare red hair attracts the attention of the Prince of Tanbarun and she has to flee or become his concubine. In her flight, she meets Zen and his attendants, Kiki and Mitsuhide. Things happen and she finds out Zen is more than he appears to be. This manga has elements of the Snow White fairy tale in it without it being a verbatim retelling. I love it so much! I need one of the American manga publishers to buy the English license to this series. I'm not sure how to describe The Ancient Magus' Bride but it's whimsical and delightfully magical journey as we watch Chise find her place in the world as a mage in training! There's dragons and fairies and even a King of Cats. And the art is freaking amazing! It was finally adapted to an anime that aired this last fall and I can't recommend it enough! Welcome to the Ballroom is the sports manga I never knew I needed! I used to dance competitively and ballroom was one of my best events. I loved it! So I was absolutely delighted to find a manga where you watch the main character get thrust into the world of competitive ballroom dancing and it's been amazing! I'm completely caught up yet but I will be by the end of the year. I'm also hoping to watch the anime adaptation of it that was made of it soon. This story is so beautifully drawn and it instantly grabbed my attention and heart. It's a story about relationships and the perspective given on living with disabilities is beyond from what I've seen from any manga. It was kind of a very emotional read. The manga never failed to give sweet moments amidst the angst though! I wholeheartedly recommend this story to everyone. Bungo Stray Dogs is kind of the supernatural manga version of The League of Extraordinary Gentlemen where the league is a detective agency combating the mafia and it's amazing! The characters are quirky and delightful and I love the art style used! There's only four volumes out in English and I just need the rest of it to be released ASAP! The anime is pretty great too! What's your favorite manga series you read in 2017? Want to see what books are everyone else's Best Covers? Visit one of the host blogs to find the Linky. Did you see our Super Giveaway? Check out Wednesday's post.